Here are some forms you might find useful when filling in your families history. I found them all while doing a search on the web for free genealogy forms, I thought it would be nice to compile them all in one place. 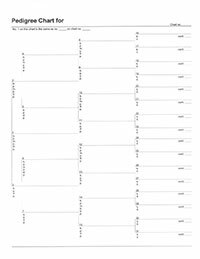 Blank 4 generation pedigree chart.